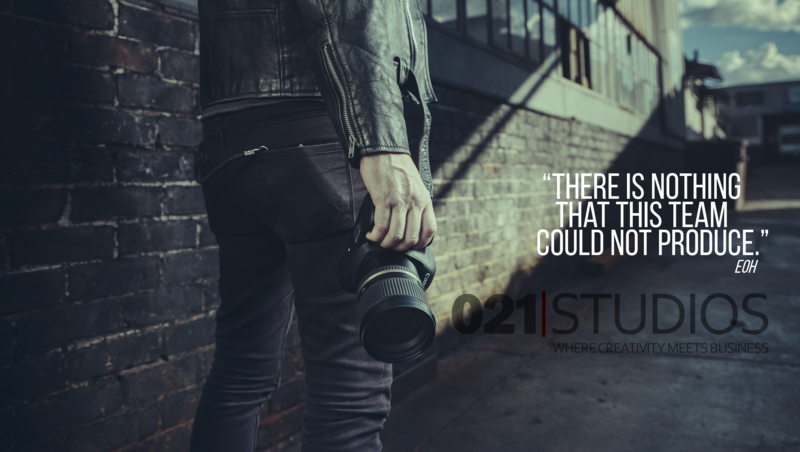 021 Studios is a Cape Town, South Africa based creative production company committed to delivering quality and professionalism in the multimedia industry. We can offer a wide range of services for the corporate as well as the local and international production markets. We are your one stop shop for all your corporate needs. Our team consists of a talented team of creatives as well as professionals, who have been in the corporate environment for many years. This uniquely enables us to translate your business message into stunning content. You can be rest assured that the one thing that we never compromise on is quality. We are looking forward to working with you and taking your business to the next level! We work with state-of-the-art equipment and provide professional, experienced team members in all media departments from the creative director and editor to the film crew as well as coordination specialists. 021 Studios offer the following production services. 021 Studios can assist you in the following categories of production. We can help you develop your vision or idea into a real-life production. Our services cover a variety of production genres. We know how hard it is for international production companies to find reliable partners in South Africa.We are here to help and be the single source for all your production needs. We have a comprehensive network of partners, who adhere to our high standards. Fujifilm South Africa was requested by Fujifilm Global to produce BTS (behind the scenes) videos for photographers which were appointed to use a camera before its official launch. This was a very daunting task as the BTS video’s also had to be shot on a pre-production version of this unit. After a referral from one of our official ambassadors we contacted Alan from 021 Studios and was very appreciative of the professionalism that was displayed even from the first Skype session. Alan provided us with great insight of how we can highlight the benefits of the product and even helped out our selected photographers on the days of the shoot. The BTS videos we received after the project was completed was impeccable. Even our Japanese Head Office was full of praise for the quality that was produced from Alan and his team. The insights to what was important to show and how to document it was out of this world. I would gladly recommend Alan to anyone looking to take their product to the next level utilizing his skill. 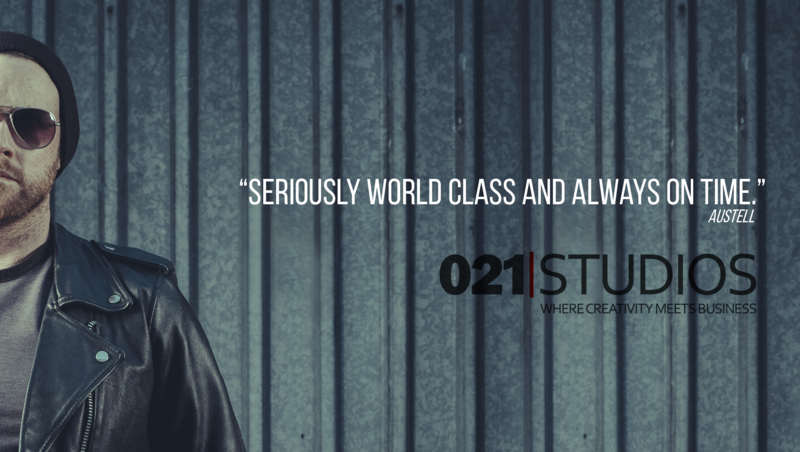 Working with 021 Studios has been the most fun, easy and professional experience. The team has never been late on filming or delivering a project, they always have the best equipment ready and they’ve made us feel at ease with the process from start to finish. Team member Alan, turned our staff into Hollywood actors with his tips and tricks on how to feel at ease in front of the camera. There is nothing that this team could not produce, even when the pressure was on from client side. Thank you 021 Studios, for producing video content that will be timeless for us as a business, a brand and for our clients. We have worked with Allan on a few projects so far and I can honestly say that I don’t quite know how he manages to pull of the work he does. The production quality is seriously world class and delivery is always on time. I know that this often means that he is burning the midnight oil but it just shows the level of care and pride he takes in his work. It is also important to note that he has a way of making the projects really fun and lighthearted without compromising on results and this is something that I find quite amazing. 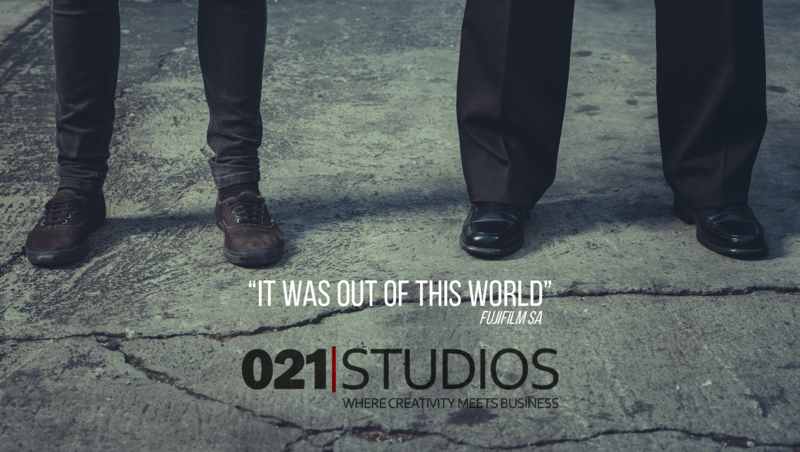 We are looking forward to working with 021 studios on future projects. I have worked with Alan Sayers on two video projects over the past couple of years. Both times, the final product has exceeded my expectations. The videos were learning tools, geared towards populations living with and affected by HIV and TB. Alan was able to design them a tone and style that was very audience-aware. The videos have been played all over the African continent and have received widespread acclaim from all workshop participants. All activities of our productions are centered around our clients. It is of the utmost importance to us to work as closely as possible with you to make sure that the end product meets and exceeds your expectations. Hence the most important step of the entire process is the initial Planning Meeting. Depending on the complexity of your project, we will move forward from Script Writing to Story Boarding to Designing. Time is invested into production planning to make sure that the right locations, actors, staff, equipment, etc. are selected to minimize risk, while maximizing the efficiency and quality of the production. During post production all elements are combined in multiple iterations. This includes editing, graphics, special effects, sound design and music. We aim towards that the final product provides you with a sense of pride, which will give you peace of mind to know that you are working with the right partner for all your future multimedia requirements. We are a Creative company committed to delivering quality and professionalism in the multimedia industry. The core of our business is delivering “Quality” always, no matter how complicated or difficult it gets! This is a value instilled into all the members of 021 Studios. We strive for customer service and care about the work we put out. 021 Studios offer film and media production services for the national and international markets as well as providing complimentary services such as production coordination and management, procuring permits, assisting with visa applications as well as hospitality and providing a variety of logistical services before and during the production. Our goal is not only to provide a quality service but to also guarantee creativity and dynamic concepts, solve your media related needs through our extensive experience in the corporate and advertising markets and produce unique and personalized projects to suite both you and your brand or business. Our services also extend into the international market offering either film and post production facilities as well as client services to assist in international production with their locally produced projects. Most importantly, we strive to shape long term relationships with all our clients and companies, build on trustworthy partnerships and understand the importance of your brand. This allows us to really connect with each job we do! We provide services to advertising agencies, brands and worldwide production companies, such as top local crew, state-of-the-art equipment rental and the best locations that Southern Africa has to offer. Our multi-lingual production team will help provide you with cost-effect solutions to fit your brief and budget. Through our strong network of local collaborators, we offer creative solutions for any kind of project. We have our own diverse roster of directors and photographers working for both the national and international markets, who are creative masters of their chosen fields. Let us help you plan your next successful production or ad campaign with a personalized, all-encompassing strategy tailored to reach your clients and maximize the promotion or sale of your business or product. We are always looking for local talent to extend our team. Be it on an employment bases or as a freelancer. You will have to adhere to our high-quality standards as well as code of conduct, as these make up the core values of 021 Studios. Feel free to contact us with your details, areas of expertise and work examples. You have just completed your studies and are looking for a way to get started in this exciting business? As long as you bring the right attitude, we might be able to offer you an internship.